The Asti and Monferrato areas of Piedmont, east of the Barolo zone, are Barbera country. Barbera may be indigenous to this region, and (although grown elsewhere in Italy and increasingly here in California) finds its best expressions here, ranging from bright, raspberryish wines aged in stainless steel, to darker, more substantial examples aged in small French oak. Agliano is one of the best-known Barbera villages in the Asti zone. Agostino Pavia and his sons Giuseppe ('Pino') and Mauro make two styles of Barbera from two different single vineyards, less than five thousand cases in all. Barbera d'Asti used to have a reputation for having acidity like that of a car battery, apparently due to high yields and an occasional lack of malolactic fermentation. These wines are different, zesty but balanced, with luscious fruit to match the acidity. I drink them with all kinds of food; the very low tannins of barbera make it versatile. The Bricco Blina is delicious with grilled salmon, for example. Moliss is a Piedmontese word, not Italian, meaning the 'middle son'. This is another single vineyard wine made from old vines and aged in large Slovenian oak ovals ('botti') and 500L barrels; it is the closest thing to a traditional Asti but cleaner and more concentrated. 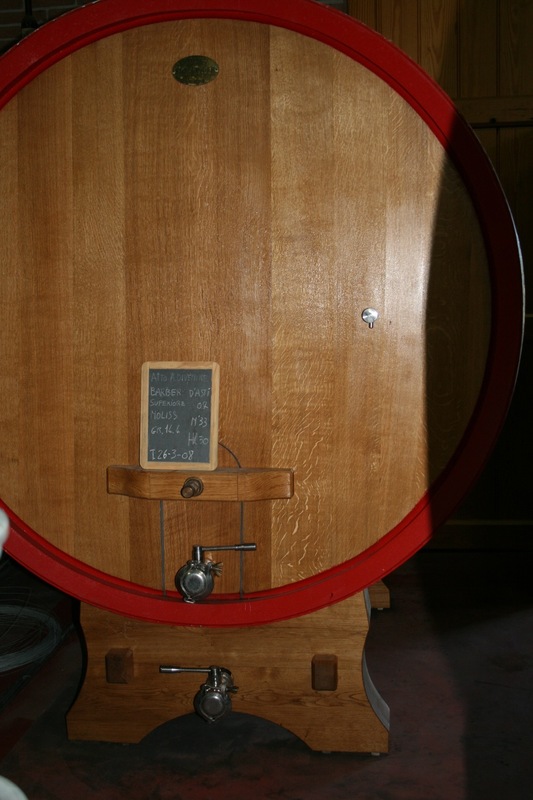 (These larger oval barrels, usually made of Eastern European oak, give the wine only a hint of oak aroma, when new, and a different texture.) I drink a lot of this wine, fresh acidity and low tannin makes for a very useful table wine. Notes: medium red color with purple glints; aroma of raspberries with a hint of herbs; palate similar to the Blina but with a broad, meaty quality from the aging in large barrels and good acidity, not to mention a long, persistent finish.